I am the director of engineering at the Open Privacy Research Society, a non-profit research and development organization dedicated to building privacy preserving systems that further empower marginalized communities. 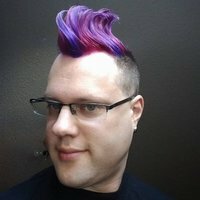 I am a programmer and researcher focusing on security and privacy through decentralization, building accessible tools that everyone can use, and new social tools that are safer and more capable of supporting complex humans and their interactions. I also have a deep ops and infrastructure background running all manor of Linux and BSD servers and services for the last 15+ years. I previously worked at Amazon. I have a bachelor’s from UBC and an associate’s from Langara, both majoring in computer science. I run a tor relay node. I’ve helped run a few Cryptoparties (Vancouver and University of the Fraser Valley).